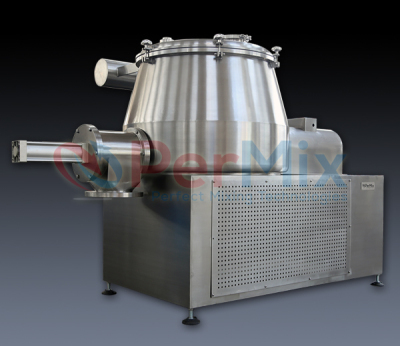 The PerMix PDI series High Speed Mixer, also called Mixer Granulator, Wet Granulator, or High Shear Mixer Granulator, is an efficient and versatile blending machine for mixing of dry powders, or granulating with the addition of liquid binder, within a very short time and with excellent cleaning abilities. It is able to give perfect result for mixing due to the innovative design of a central Impeller type mixer with a side vertical Chopper. 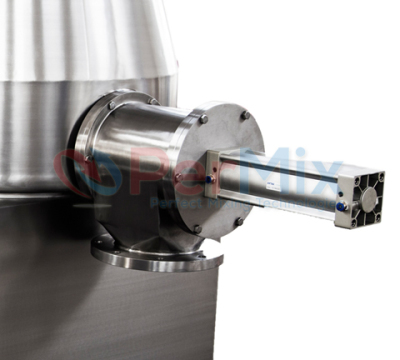 The proven mixing action of the PerMix PDI series High Speed Mixer ensures effective mixing in may applications. Optimal performance is assures with dedicated designs of optional feeding, discharging and installation. The PerMix PDI series High Speed Mixer consists of two electrical motors, one reduction gear, coupling, and shafts with the two agitators. The shaft is sealed with special sealing, sometimes with air purge, in a way that there is limited contact between the material and the seal. Materials are loaded from top side, and the discharge is located at the bottom side. Due to the consistent modular design, the system can be configured individually and easily adapted to the constructional circumstances and specific requirements. 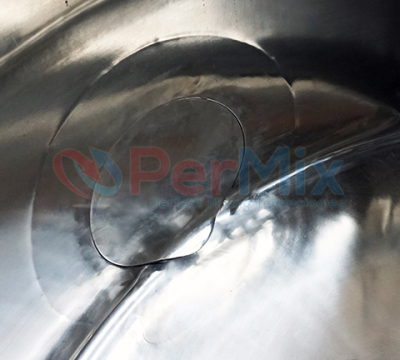 In a PerMix PDI series High Speed Mixer, the powders are set in a multidimensional shear flow state and it needs only short mixing time until they are thoroughly mixed. 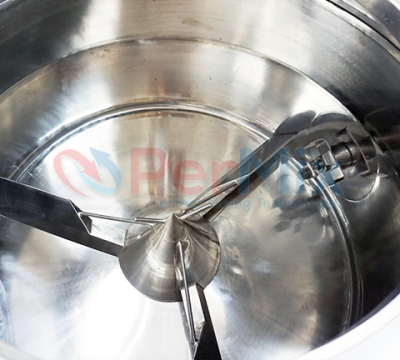 In case that granulation is required, the spraying system sprays the binder solution into the bowl to agglutinate with the materials and under the combined action of the impeller and chopper, uniform and porous granules are produced. After finishing the mixing or granulation process, powders/granules are discharged through the side discharge with no "dead zone" valve. Y-shaped rotor blade with special aerodynamic profile - this key element with the various product-optimized chopper designs are the result of many years of successful development. We are able to offer our PDI Mixers with contact part to be built in SS304, S316/316L, Titanium, Duplex stainless steel, Hastelloy, etc. Standard of internal and external finish can be adapted to the customer's needs. For abrasive materials we offer hardened Stainless Steel as the contact part. A variety of feeding & discharging methods can be selected by the customers. Drive system by geared motor, cycloidal reducer, worm reducer, belt or chain transmission, etc. The PDI mixer can be designed for vacuum drying & deaerating or for inner pressure working for special applications. Liquid can be added into the powder by spray nozzles on the top. 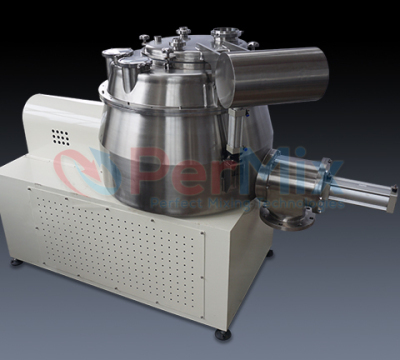 Standard PerMix PDI Mixer is equipped with a cover with counter-weight, manually operated; however pneumatic opening is an option for easy opening and closing to save labors.